Keiko (free Willy), a two-year-old orca whale was captured by a fishing boat in 1999, separated from his family, and held in captivity for 22 years. In the summer of 2002 he was given his total freedom. Unfortunately on December 12, 2003 the orca whale died in the Taknes fjord, Norway, probably form acute pneumonia. 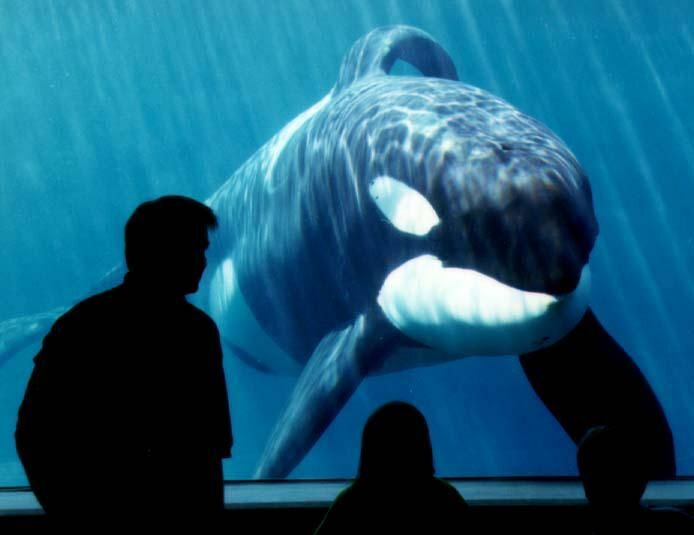 Welfare problems: As of July 2012, 43 orcas are held captive at facilities in North and South America, Europe and Japan, providing entertainment for the theme park visitors. (Source: Wikipedia) You can read about their welfare problems on the site of the Canadian Federation of Humane Societies and the Humane Society of the United States. Only recently (25 July 2012) a chilling video of a killer whale attacking its trainer at a US theme park has been released to the public for the first time, six years after the attack took place. There have been several attacks on humans by captive killer whales, with some of them being fatal. However no killer whale that lives in the wilds has ever attacked a human being.